Review by Neo: I find it bewildering that there are so many positive reviews of this movie. Sure, it processes the same cast as the far superior PTU, associated with Johnnie To somewhat and directed by a long time associate of Johnnie To. So what went wrong and the obvious nemesis is budget. With a budget this low, it is difficult to foresee anywhere near the quality of its predecessor, but the script is far too simple, the characters tries hard to convince and turns out rather blend and uninteresting. 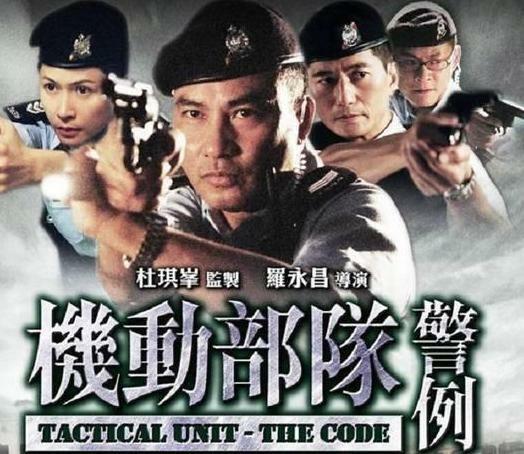 While it is great to see the likes of Simon Yam back in uniform and Lam Suet, now classic role as the cop who lost his gun through slipping a banana peel, any allusion to PTU is more embarrassing than imaginable. Technically, the movie feels like a TV series with a larger budget and slightly more polish production, but realistically, a movie is a movie and will always be judged as that. As a film, The Code is simply not good enough, not thrilling, not enough tension and not entertaining enough. The story goes like this; a bunch of PTU bashed up a drug dealer and got caught on a black and white blurry camera. The head of police department subsequently wants to these PTUs officers to pay the price and maintain their police force image. This result, in one close over after another as the PTU go chasing the drug dealer in a cat and mouse game of who wins first. As usual, everyone seems to have their own problems and somehow it is all interrelated towards the end. Not exactly an exciting synopsis, but I never say it was either. 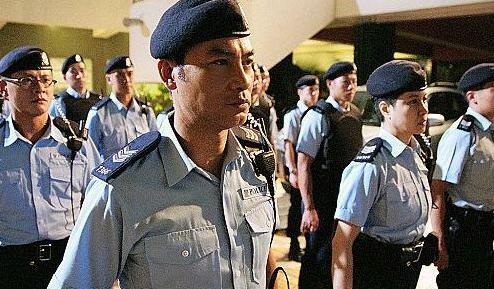 Simon Yam has great screen presence, but somehow this flick fails to capitalise on that and with its paper thin plotline, Yam is left with little to work with. While there are some scenes that are worthy, like the pure bashing in a karaoke room, underlying and reminding us of the brutal of Yam’s character to achieve his means like in the original. Likewise, Maggie Siu is restricted to being in the background and in respective; I can hardly recall her presence. Luckily Lam Suet shows up with some much required comic relief, while not exactly pleasing, he is a welcome addition to the police squad. It is interesting to note, how easily Lam Suet is able to be funny, with some many flicks under his belt, this guy is probably one of the most underrated supporting actors in Hong Kong.